Q. How do I set up a search alert in Google Scholar? This allows you to perform a search in Google Scholar and then be updated when new items are published that match your search terms. This is a great time saver -- you do not need to visit Google Scholar again and again to perform the same search, but instead articles matching that search will be sent to you. 1. Go to Google Scholar and perform a search for your topic. 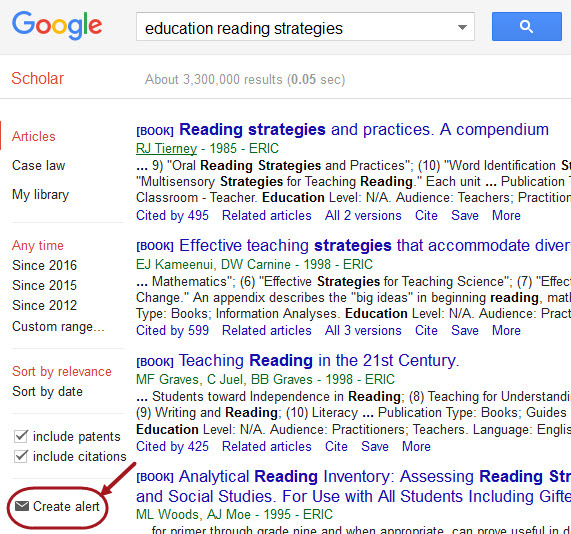 See search tips for Google Scholar. 3. You will then see options for your alert. The Alert query box will have the search you just performed. Leave this as it is. Enter your email address in the Email box. This can be any email you want. 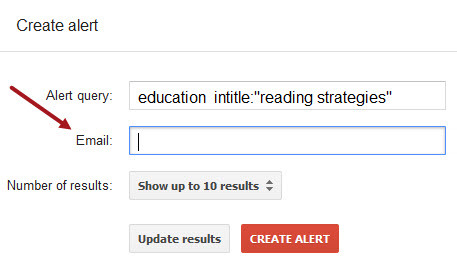 The email you enter is where your search alerts will go. How do I link Google Scholar to the Walden Library? Do you have other Google Scholar questions? Ask a Librarian!